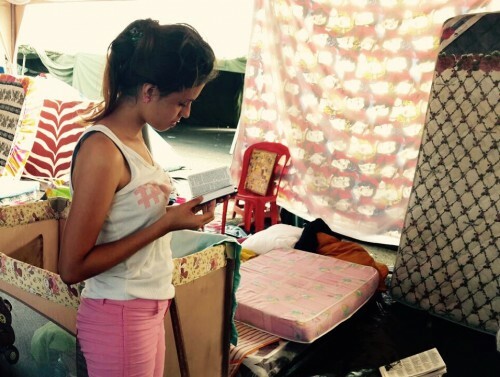 A young woman at an emergency shelter in Ecuador reads her copy of God’s Word, received from Gideons. As faithful Christians, Gideons and their wives are dedicated to telling people about Jesus, no matter what the circumstances. So when a magnitude-7.8 earthquake struck Ecuador in April, The Gideons International implemented the Disaster Scripture Distribution Program. 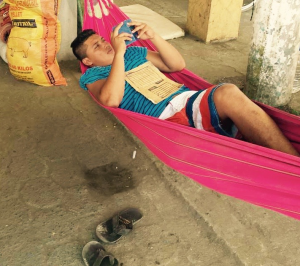 Members of The Gideons in Ecuador responded by placing copies of God’s Word into the hands of those impacted by the disaster. Since the earthquake, Gideons and Auxiliary have distributed over 19,000 Scriptures in Portoviejo, Manta, Bahia, and Chone. 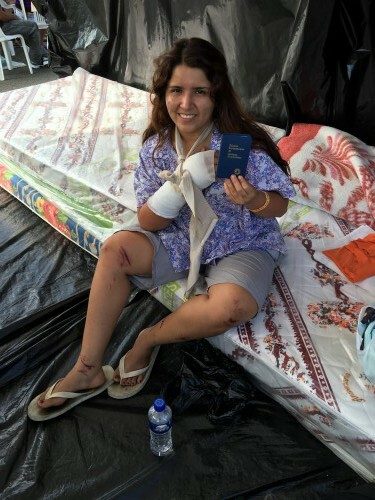 Vanessa was one of the earthquake survivors to receive a New Testament from Gideons. She and her husband escaped piling rubble from their building’s collapse through the doors of a meat packing shop on the ground floor. Those doors are always padlocked but at the time of the quake, the locks were not in place. Vanessa acknowledges only God could have known the people living in her building needed those doors unlocked to escape. With God’s Word now in her possession, she has decided to follow Him in her everyday life, and thanks God for His protection. Please keep Vanessa and her husband in your prayers as they are among the many who lost their homes to the quake. A young man finds rest at an Ecuador emergency shelter as he reads a New Testament received from The Gideons. We thank the Lord for our members in Ecuador and for their faithful service in reaching out to share the love of Jesus in the midst of these devastating events. We thank all our supporters whose donations provide for Scriptures to help the lost and hurting find the everlasting hope that comes only from a saving faith in Jesus Christ. Please keep praying for the families of those who died in the earthquake, as well as for all who have lost homes and other personal property. If you would like to give to The Gideons International, please click here. I also did disaster relief in Haiti what a great opportunity to share the good news. What great testimonies!